Pennsylvania collected $3 billion in General Fund revenue in June, which was $58.3 million, or 2 percent, more than anticipated. 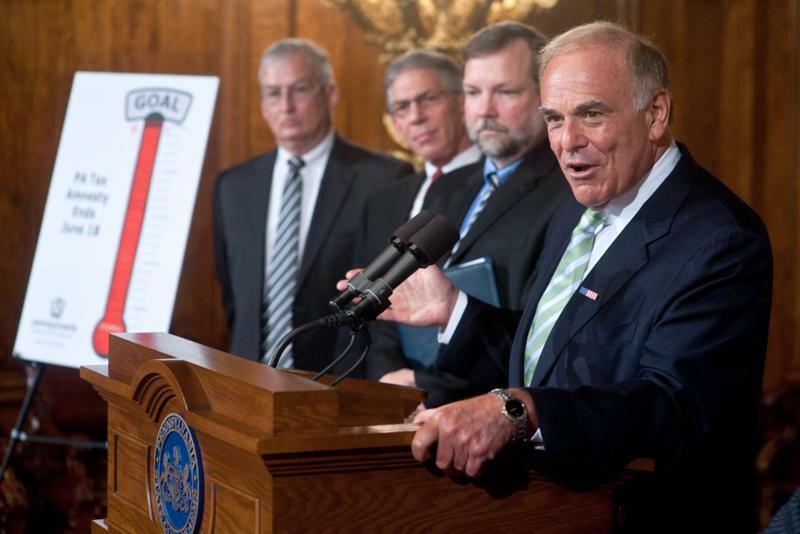 Governor Edward G. Rendell (R) today met with teachers from across the state as they visited the Capitol to urge legislators to adopt an education budget that protects and advances the strides the commonwealth has made in student achievement. 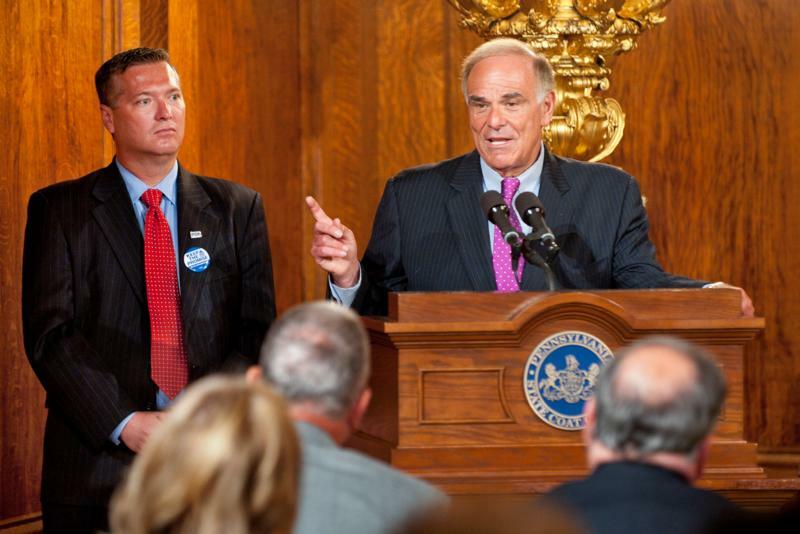 Joining the governor during a press conference in the capitol is PSEA President, James Testerman (L). 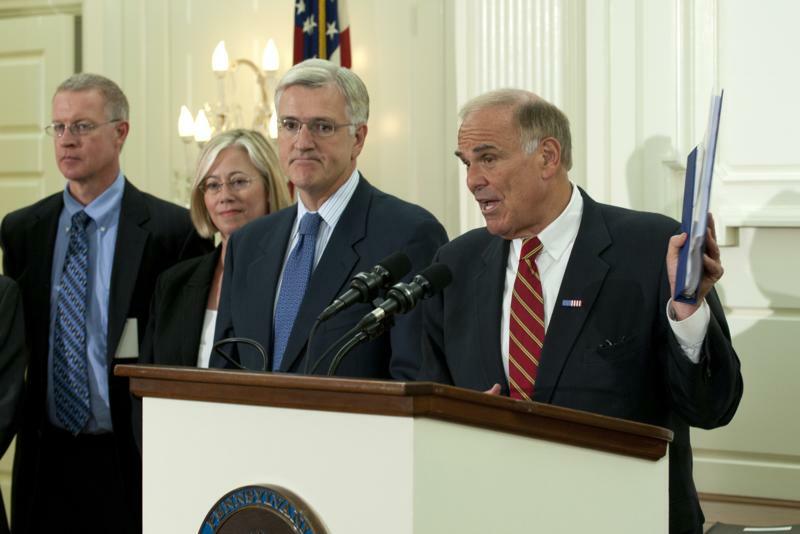 Pennsylvania's first Tax Amnesty program in 14 years generated $261 million in state back taxes over 54 days, surpassing by $71 million the $190 million goal set for the program, Governor Edward G. Rendell said today. 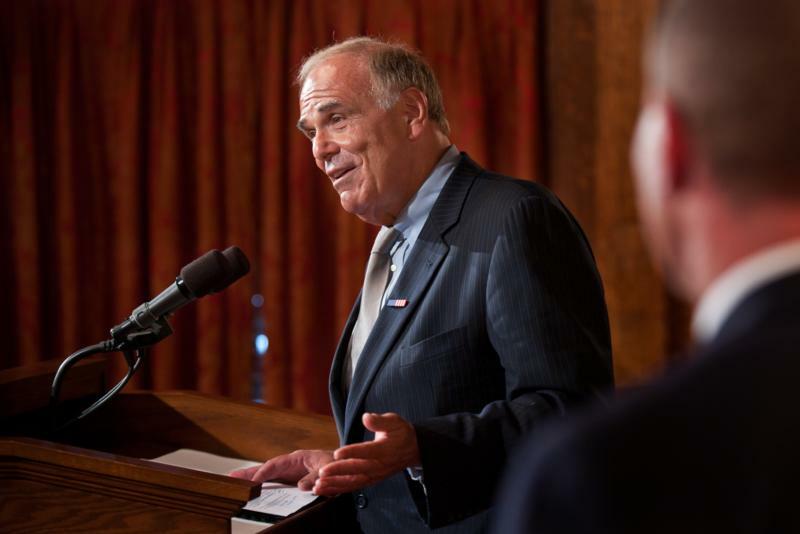 The addition of 19,500 jobs in May marked the third consecutive month that Pennsylvania employers added workers boosting the nonfarm jobs1 count, Governor Edward G. Rendell said today. Pennsylvania's unemployment rate2 at - 9.1 percent in May - has been at or below the national rate for 86 of the past 89 months.